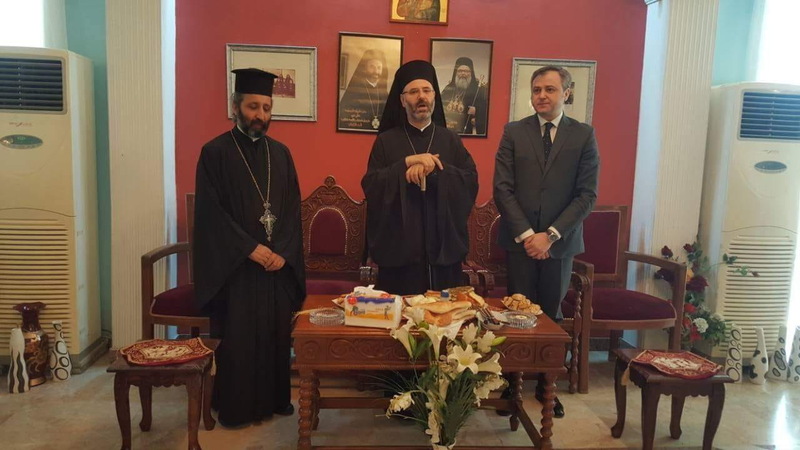 The newly appointed Ambassador of the Republic of Serbia Mr Uros Balov has visited the Metropolitan and Church of St. George where Ghattas Hazim, Orthodox Church Metropolitan of Baghdad, informed him about the life of a small number of Christian residents in Iraq. 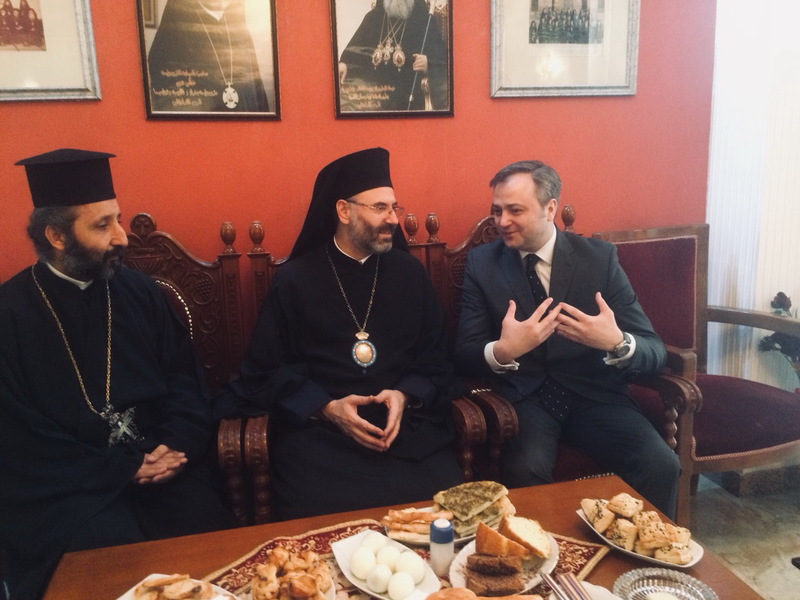 During the visit Serbian Ambassador fully supported the life, work and survival of Christians in the Middle East. 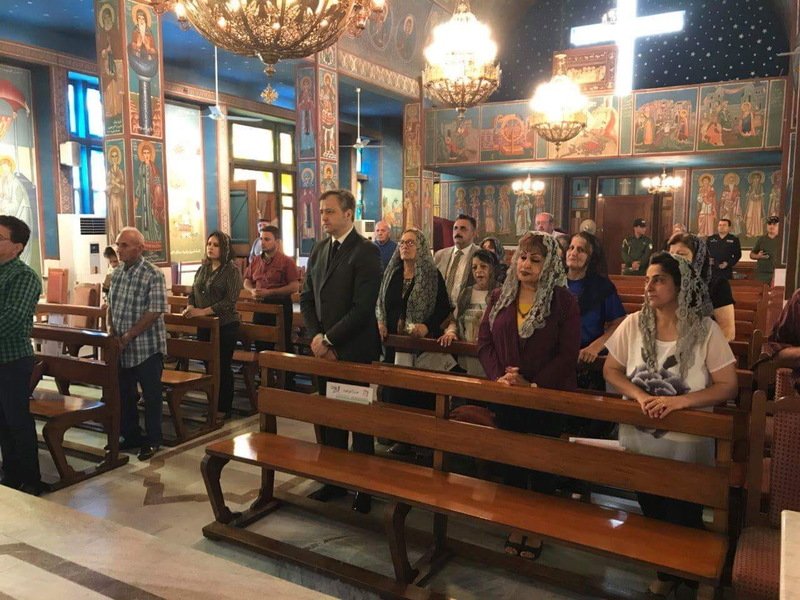 Mr Balov also attended mass on which occasion he and Metropolitan Hazim prayed for peace in the Iraq and whole region as well.